Appliances are becoming more and more complicated. There’s nothing worse than bringing your new appliance home and then not understanding how to make it function properly. With all the bells and whistles available today, it’s never been more important to understand the ins and outs of your equipment. Our team of professionals will work with you side by side to make sure you are an expert on your latest purchase. When it comes to buying new appliances for your home, we have a range of options for you. We merchandise our store with careful consideration, striving to carry the appropriate variety of the best brands available. We know everything about our products and are eager to help you locate the appliance that fits your unique needs. Let us help you find your perfect match in size, features, price, and style. We know how you feel: Finding the right appliance can be a daunting task. However, at Ralph’s Electric, we make sure you have the right information to help you make these important decisions. Shop with experts who can show you the best selection available and answer all your questions. 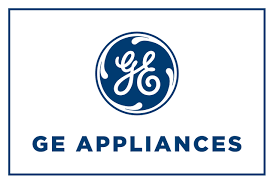 From GE washers and dryers, Phillips home appliances, and Samsung, Panasonic, and Toshiba appliances, we’ve got something for everyone.